Rhode Island students will replace chalkboards and desks with bow lines and mainsheets when they participate in experiential education aboard the Education at Sea school ship SSV Oliver Hazard Perry. 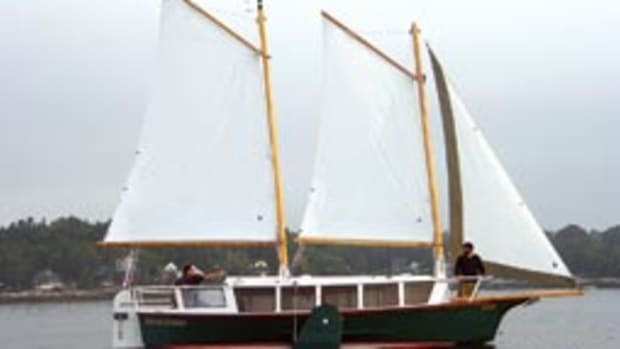 When completed in 2013, the tall ship will be introducing direct-experience learning programs to students of all ages and varied skills in Rhode Island. "It is a unique and innovative program," says Deborah Gist, the state&apos;s education commissioner. "With its new, specially designed, and technology-rich tall ship as its centerpiece, [it] is poised to offer a one-of-a-kind educational opportunity for Rhode Island students, particularly students in our urban communities." What stood out to Gist when researching the Education at Sea program was the idea that students could experience the art of learning in a more hands-on environment. 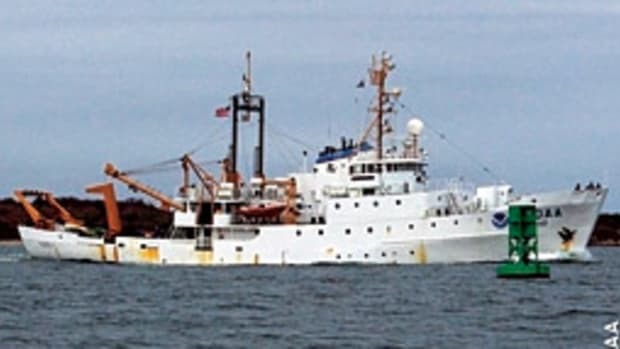 "Incorporating at-sea, on-shore and classroom experiences that transcend regional and cultural boundaries, [the Oliver Hazard Perry] will bring students together to learn about the oceans and the marine environment and it will expose our young people to exciting maritime and oceanographic careers," says Gist. In 2008, the school purchased for $325,000 a magnificent steel hull that had cost $1.5 million to build. 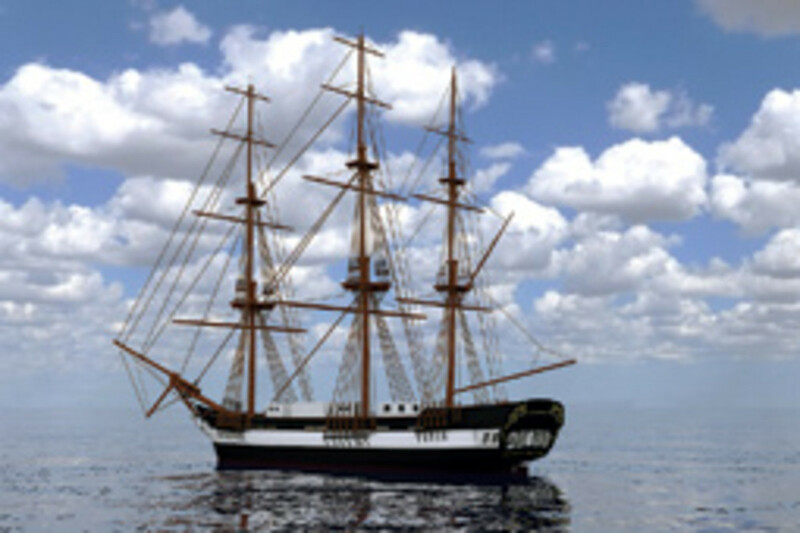 It had been conceptualized by a Canadian group that intended to complete a replica of the British ship HMS Detroit, which was captured by Commodore Oliver Hazard Perry in the War of 1812. The hull is currently at Promet Marine Services in Providence, where its deck and accommodations will be built and systems installed. Once completed, the SSV Oliver Hazard Perry will sail as a 230-foot (sparred length), three-masted, square rigger - the largest, privately owned and active tall ship in America. Information also can be found at www.ohpri.org. 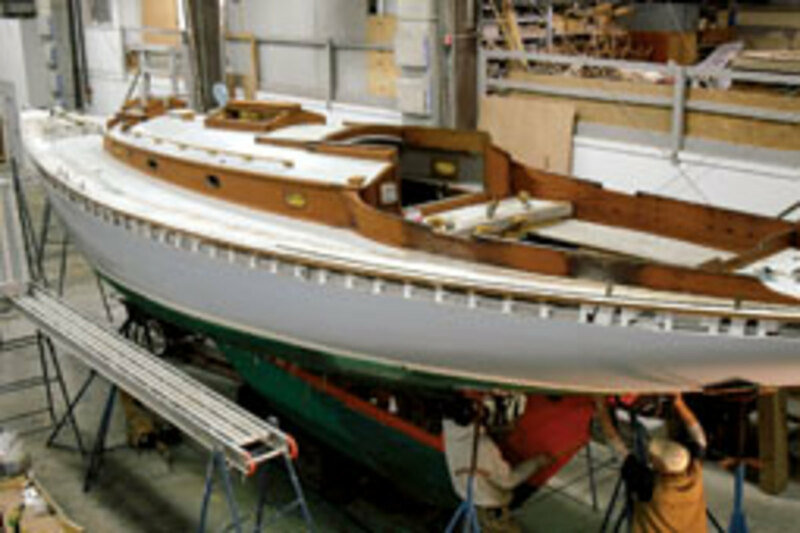 The Concordia Company in South Dartmouth, Mass., has purchased and begun a significant restoration of Javelin, Concordia yawl No. 57. 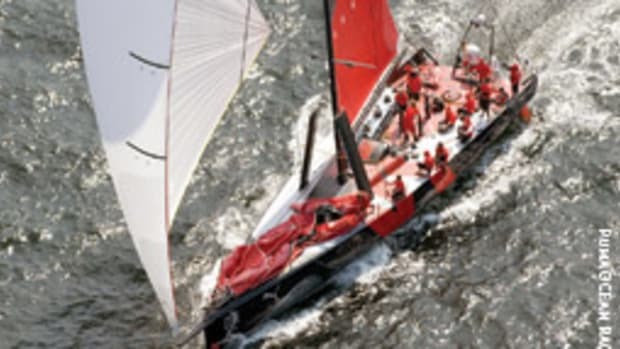 "Among key custodians of the Concordia yawl and holder of all the original patterns, our primary work is to ensure these magnificent yachts are available for our children and grandchildren to enjoy," says general manager Stuart MacGregor. Javelin is unique in that she was owned by the same family since her launching in 1958 and she is remarkably original. The restoration will included a new horn timber, many new frames and floor timbers, planking and a deck refit. "This is a chance for us to bring Javelin into the higher, more active end of the Concordia yawl market and prepare her for another 50-plus years on the water," says Concordia owner Brodie MacGregor. Concordia stores two other Concordia yawls available for restoration including No. 95 Diablo and the late Dan Strohmeier&apos;s Lawley-built No. 2 Malay 1, winner of the 1954 Bermuda Race. 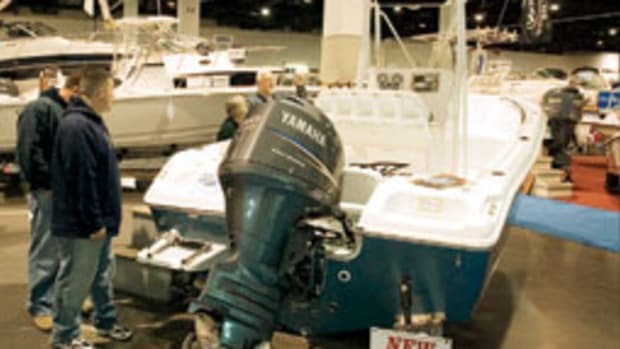 During the weeklong course, participants will learn boat handling in the Intracoastal Waterway, the strategy of running inlets, offshore safety and equipment, filing of float plans and preparation of boat and crew for extended cruising. There will be instruction in day and night navigation, log keeping, watchstanding, weather, fuel management, ship identification, and rules of the road. This course will actively involve the participants in the decision-making process for a long cruise, including how to plan for and deal with potential problems. All offshore legs depend on weather. The professional captains at Sea Sense have taught and sailed extensively up and down the East Coast, the Caribbean, the Mediterranean, British Columbia, Nova Scotia, Labrador, Bermuda, Mexico and a Transatlantic crossing aboard trawlers. Commercial fishing in New England is the theme of an exhibit of historic photography now on display at The Maine Grind in Ellsworth. "Images from The Atlantic Fisherman" is free to the public and will run through March 31. The exhibit, with photos dating back to the early 1920s, was compiled by Penobscot Marine Museum&apos;s photography archivist Kevin Johnson and curator Ben Fuller. 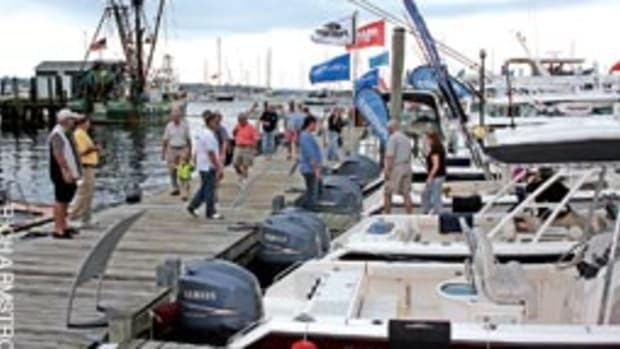 The black and white images, which originally appeared in the trade newspaper The Atlantic Fisherman, show working boats and crews, shore-based fishing methods, and shoreside processing activities. "By the 1920s, internal combustion engines dominated the fisheries," says Fuller. "Fishing schooners were being fitted with auxiliary engines, and new engine-based fishing methods like the otter trawl were being introduced. Engine and gear makers needed to make sales and The Atlantic Fisherman provided a vehicle for advertising. 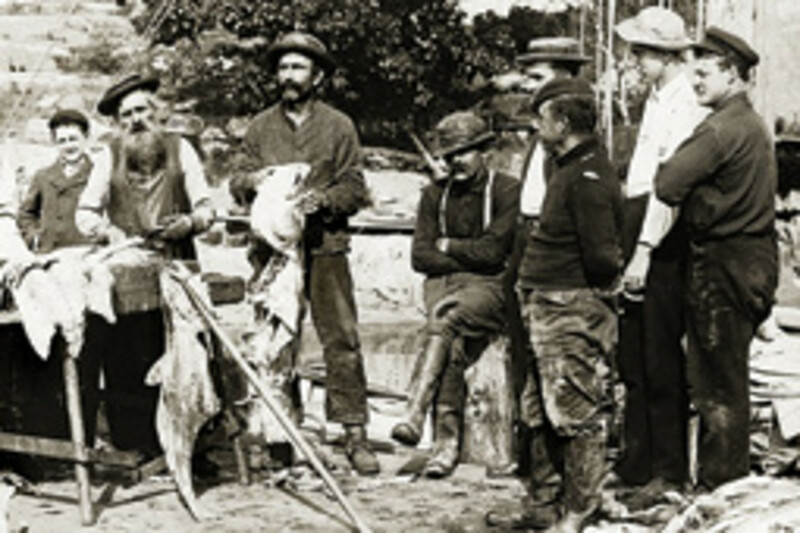 The exhibit shows the fishermen of the engine revolution (and one who resisted it) and the changes in craft and working waterfronts." Open 7:30 a.m. to 5:30 p.m., Monday through Saturday, The Maine Grind is a neighborhood café at 192 Main Street, Ellsworth. For more information, call (207) 667-0011 or visit www.mainegrind.com. The Maryland Natural Resources Police charged a 41-year-old man in September with reckless endangerment, resisting arrest, hindering and obstructing a police officer, failing to comply with a lawful order, operating a vessel under the influence of alcohol, operating a vessel while impaired by alcohol and attempting to elude a police officer. Police received a call at 4:15 p.m. Sept. 27 about an overturned sailboat with a person clinging to the side of the boat in the South River. Police, Coast Guard and the Anne Arundel County fireboat responded to the scene to locate and assist the overturned boat and, once on the scene, the responding units found the man on the 25-foot sailboat. Authorities say he became belligerent and appeared intoxicated as rescue units attempted to check on his welfare and condition. 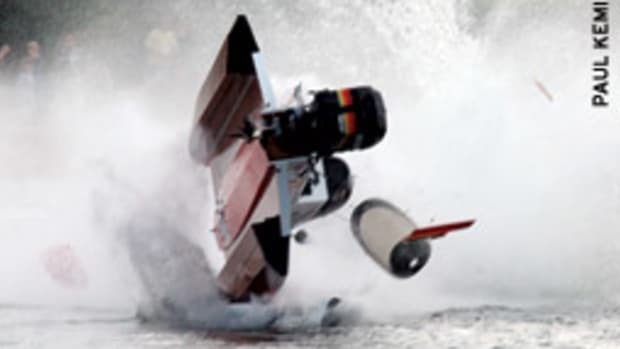 The sailor tried to ram the Anne Arundel County fireboat three times with his sailboat. 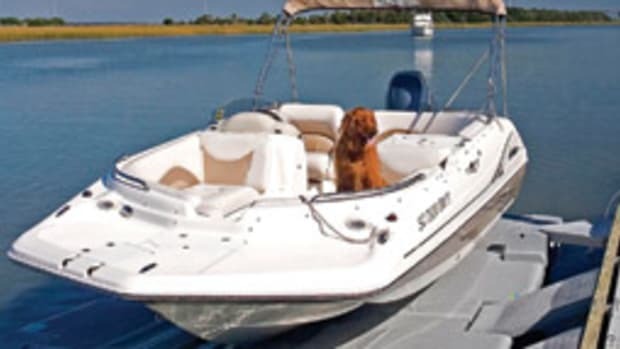 He then ignored repeated calls and orders by police and Coast Guard officers to stop his vessel. Not giving up, the sailor continued to flee and evade officers by refusing to drop his sails, while maneuvering his boat back and forth to prevent boarding. Eventually, the sailboat was boarded by officers while under way. Once aboard, the sailor struggled with officers and resisted arrest. After he was subdued, he was taken ashore where he failed sobriety field tests and an alcohol breath test. The sailor&apos;s trial date is scheduled for Dec. 17 in Maryland District Court in Annapolis. 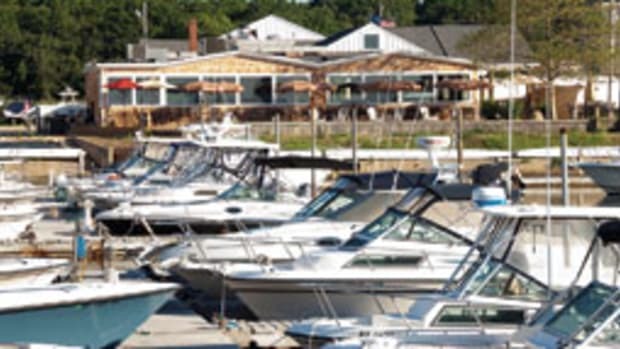 This article originally appeared in the New England Home Waters Section of the March 2011 issue.